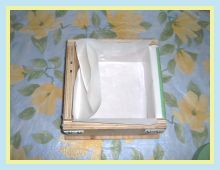 Making a soap mold liner is a little tricky to learn at first but it is well worth the effort. Using a liner makes it super easy to remove the soap from a wooden or plastic soap mold and gives the soap edges a wonderfully smooth finish. 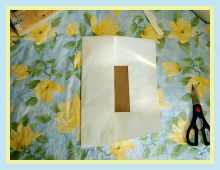 As a bonus, you can usually use the liner a couple of times before having to make a new one. I find that freezer paper, otherwise known as butchers paper, seems to work the best and I use it to line my molds. Most grocery stores carry the small packages of freezer paper but if you need larger amounts, you can get it from Amazon. 1. Cut a piece of cardboard 1/8" smaller than the inside base of your soap mold. 2. 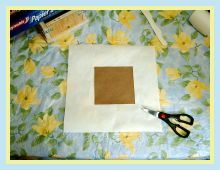 Cut a piece of butchers paper or freezer paper that is large enough to cover the base and up the sides of the mold. 3. 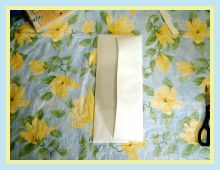 Fold the left side of the freezer paper over the cardboard. 4. 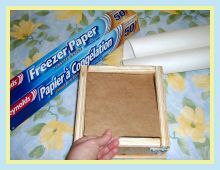 Fold the right side of the freezer paper over the cardboard. 5. 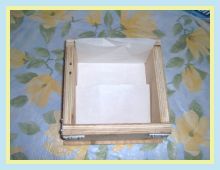 Place paper covered cardboard into the mold creating top and bottom folds. Remove from mold. 6. 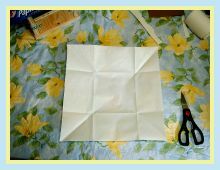 Line up the corner 90 degree creases and fold to create the triangle folds. This will create triangle wing flaps. 7. 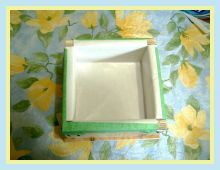 Fold the flaps to the outside creating a box shape and place the liner in the mold. 8. Clip corners down and fold down sides. Tape paper edges to outside of mold.